KIM LAWTON, correspondent: The Smithsonian’s new National Museum of African American History and Culture has a lofty purpose: to help the world better understand the complex African-American journey and how that journey has shaped the nation. For many African Americans, the museum’s presence on the National Mall is a profound statement in and of itself. DEAN ALTON POLLARD III, Howard University School of Divinity: There’s a sense that we have arrived, that we are a part of the mainstream, that we matter to the body politic, that E Pluribus Unum actually may include us. LAWTON: Spirituality, so important to the African-American journey, is embedded in the building’s very structure. The design was inspired by a West African corona, or crown. According to the architect, it reaches to the sky in an expression of faith, hope, and perseverance. The museum’s founding director, historian Lonnie Bunch, says his team wanted to portray the full range of the African-American experience. LONNIE BUNCH, National Museum of African American History and Culture: We also thought while America should ponder the pain of slavery and segregation it also had to find the joy, the hope, the resiliency, the spirituality that was endemic in this community. LAWTON: Of the museum’s more than 3,000 artifacts on display, about 10 percent are religious. The exhibitions are grouped into three main categories: history, community, and culture. Faith is prominent in all of them. Dr. Rex Ellis, an ordained Baptist minister, is the museum’s associate director of curatorial affairs. 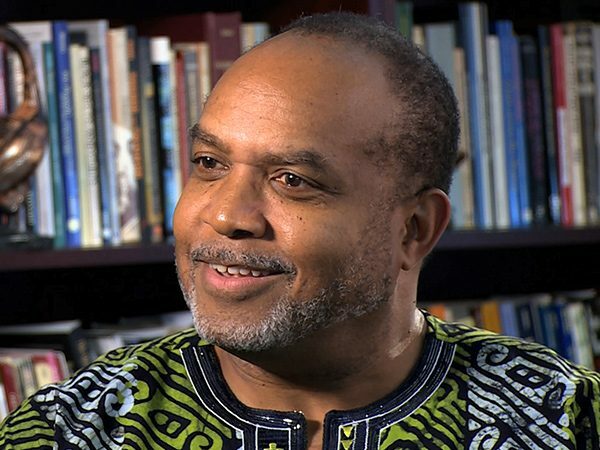 REX ELLIS, Nationall Museum of African American History and Culture: There is no way you can talk about, discuss or even acknowledge the contribution of African-American history without acknowledging the very real presence and power of faith as a part of that history. LAWTON: Howard University School of Divinity Dean Alton Pollard III specializes in religion and culture. He applauds the museum for incorporating religion throughout its exhibits. POLLARD: When you take culture away and simply refer to timelines, events, occurrences without understanding what are all the nuances that give meaning to those timelines, then you lose something. So culture is absolutely imperative. And what’s at the root of culture? Religion. LAWTON: While Christianity and the black church are given the most attention, the museum also highlights other religions. Islam receives a strong focus, both the Nation of Islam and mainstream Sunni Islam. But Judaism, Voodoo, African traditional religions, and folk spirituality are also acknowledged. One large piece of art is a bottle tree thought to capture evil spirits. Ellis says it’s all part of the stories of African Americans. ELLIS: Whatever the faith tradition, it was significant and important in terms of them being able to make a way out of no way. LAWTON: In a deliberately symbolic plan, visitors are asked to start at the bottom of the museum in galleries that examine America’s history of slavery and the fight for freedom. Among the artifacts displayed here: a blood-stained Bible owned by Nat Turner, the slave who led a famous rebellion. 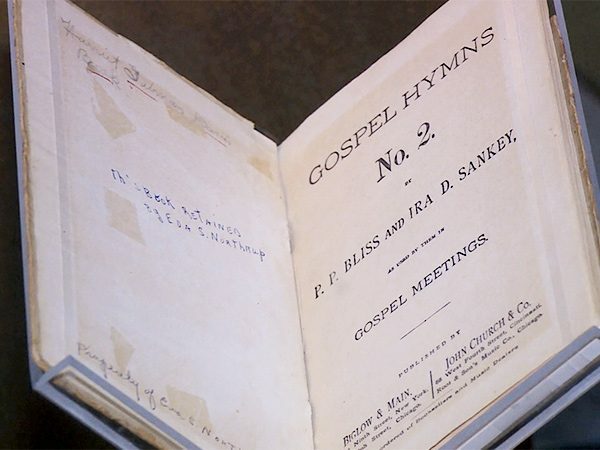 Also, a hymnal owned by abolitionist Harriet Tubman. Exhibits show slaves looking to faith to find hope. ELLIS: That there was something more powerful and more important than a malevolent master on earth, as long as they understood and believed that there was a benevolent master that superseded all that they could imagine themselves, that their lives had meaning and that that meaning was beyond this place and the space that they happened to be in. LAWTON: As visitors walk to upper levels of the museum, they move through history. 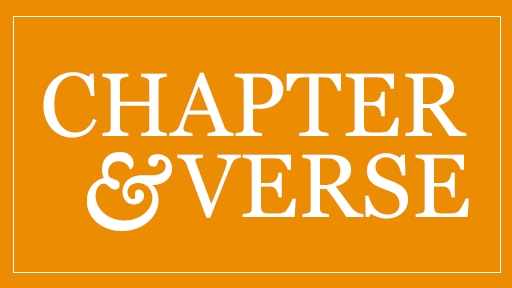 Exhibits on the era after Emancipation explore the establishment of African-American institutions, including schools and churches. 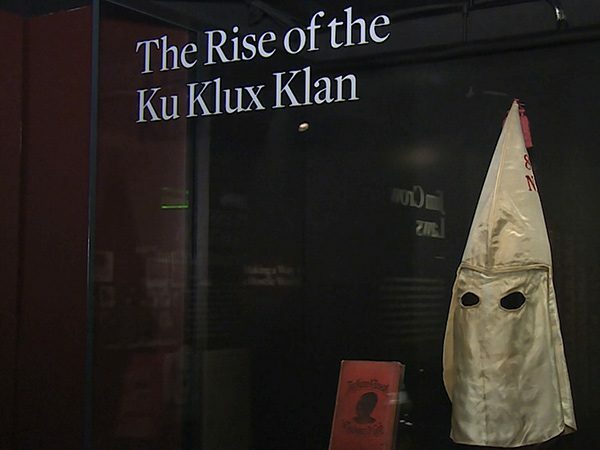 The museum also examines bigotry, segregation, and violence. 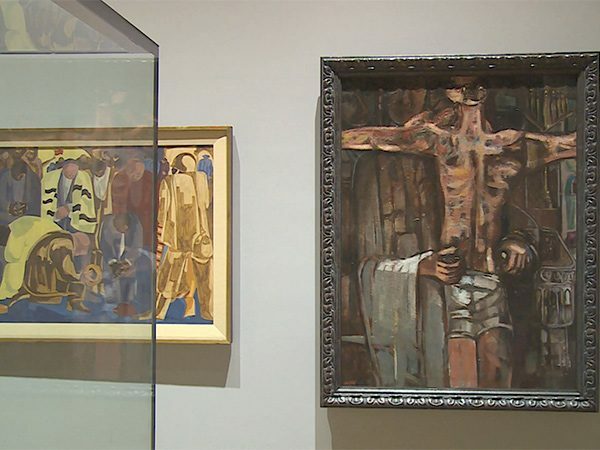 In some areas, there are warning signs that the images may not be appropriate for “younger and more sensitive visitors.” Pollard says he hopes visitors will look at those exhibits with an open mind. POLLARD: We have to look at the blemishes and the warts as well as all of the beauty marks that constitute who we are as a society, and in so doing, now creating the opportunity for us to engage in honest dialogue and more just action. LAWTON: Many exhibits note the key role of black churches in the civil rights movement, from the leadership of Pastors Martin Luther King, Jr and Fred Shuttlesworth to the bombing of 16th Street Baptist Church in Birmingham. 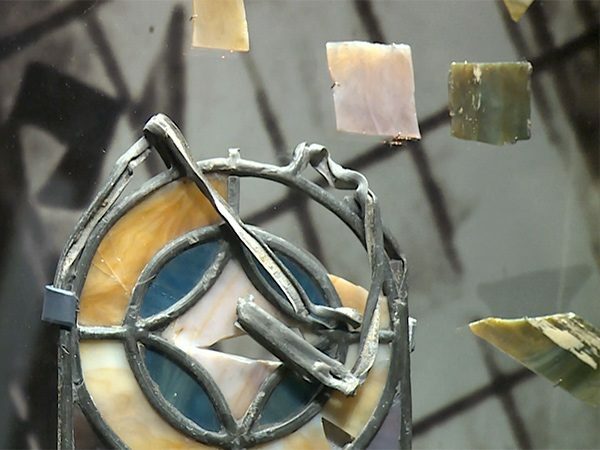 On display are fragments from one of the church’s destroyed stained glass windows. The section covering 1968 and beyond looks at the time after King’s assassination, the influence of black liberation theology, and the growth of Elijah Muhammad’s Nation of Islam. The top floors of the museum focus on contributions of African Americans in a several arenas, including the military, sports, fine arts, and contemporary culture. The substantial “musical crossroads” gallery highlights sacred music. Artifacts here include the piano of Thomas Dorsey, called the father of Gospel music, along with a lime-green suit worn by the Gospel group the Dixie Hummingbirds and their 1973 Grammy. Group member Reverend Joe Williams is pleased to be part of it. REV. JOE WILLIAMS, Dixie Hummingbirds: So many people who planted the trees, there’s other people can enjoy the shade now. We should know the story of the struggle. 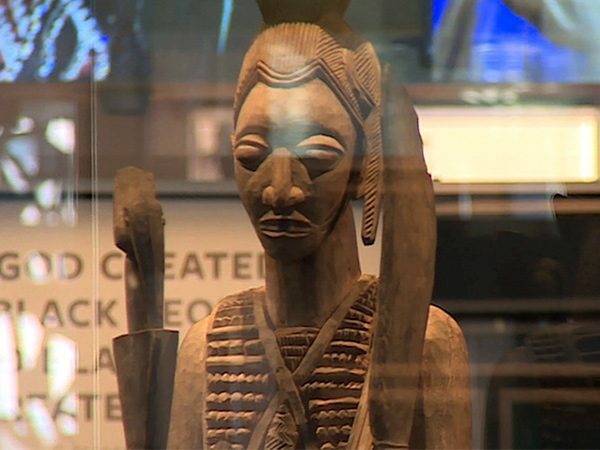 LAWTON: In addition to the exhibits, the museum houses the Center for the Study of African American Religion, dedicated to preserving religious artifacts and researching African-American faith. The Center was established through a grant from the Lilly Endowment. The amount of material can be overwhelming, and many people are already complaining about what is and isn’t covered. 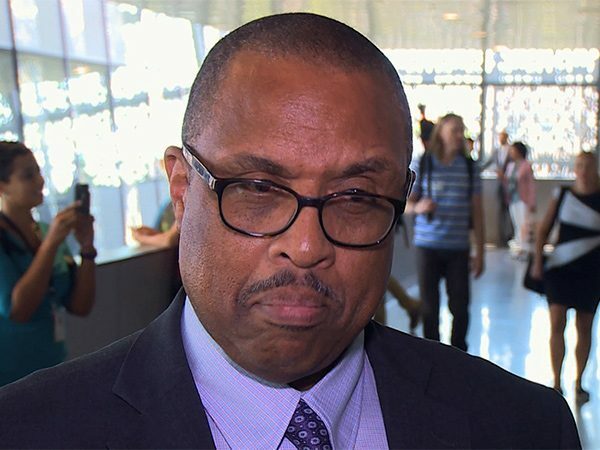 Pollard says the museum should not be considered the final word on the black experience. POLLARD: There is a danger if it is assumed that the museum can encapsulate everything that is to be said about African Americans. That would certainly be tragic. LAWTON: Indeed, Smithsonian Institution Secretary David Skorton says one of the main goals of the new museum is to facilitate ongoing conversations about race and culture. SECRETARY DAVID SKORTON, Smithsonian Institution: This museum can be an ideal gathering place to learn, to hold conversations, to be inspired, and to be uplifted. LAWTON: Bunch says it’s not just about the past. BUNCH: Ultimately, this museum looks back, helps contexualize where we are, but hints at what a future can be. Can maybe even help us find reconciliation and healing. LAWTON: Pollard says as a minister he hopes the museum’s emphasis on faith can help provide a new vision. POLLARD: These people had such a profound faith, no matter how one’s faith is defined, they had such a profound recognition that in the midst of severe trial and terror, they yet and still could believe in a God that would bring salvation to their individual lives, but more importantly, to their collective lives. They believed so profoundly in the power of the sacred that it would even be possible for their faithfulness to redeem the nation. LAWTON: He believes that’s a lesson still greatly needed today. I’m Kim Lawton in Washington.